November 2, 2017 • 6:00 p.m.
At its core, Unrest is a love story. Together, Jen and her new husband, Omar, must find a way to build a life and fight for a cure. Their struggle to forge their relationship while dealing with her mysterious illness is at once heartbreaking, inspiring and funny. 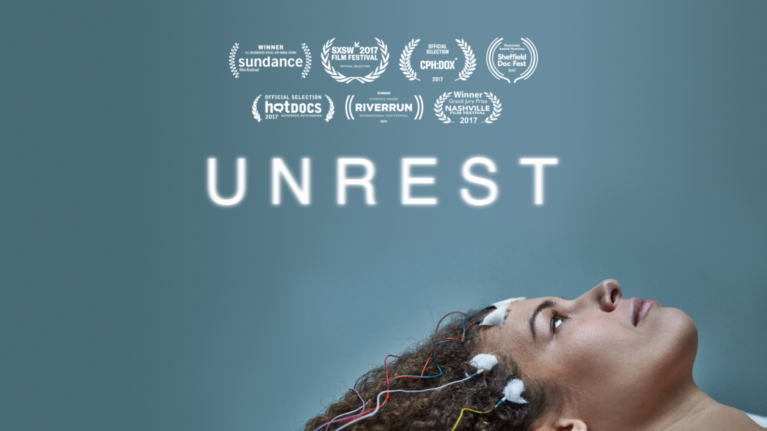 Unrest world-premiered January in the documentary competition at the 2017 Sundance Film Festival, where it won the Special Jury Prize for editing. It has since screened at SxSW, CPH:DOX, HotDocs, River Run (Audience Award for Best Documentary Feature), the Nashville Film Festival (Grand Jury Award for Best Documentary Feature), the Sheffield Doc/Fest (Illuminate Award), the New Zealand International Film Festival, and the Melbourne International Film Festival. It also has a companion VR piece which premiered at Tribeca and won the Jury Award for best VR at Sheffield/DocFest.